Any owner updates on Carver Crimson 275 stereo tube power amplifier for 2019? There was a flurry of interest in this interesting stereo power amp before The Holidays (spurred on by an attractive sale price! ), but I haven't seen much chatter about them since. Any of all y'all that bought one -- what's your assessment/impression of it a few months into the mission? The bug has bitten....saving that bird seed money Doc ? More the contrary -- there's been very little talk about them after an initial flurry. I'm wondering whether they were a flash in the pan? Nothin' at all on AA, nor @ hifihaven. I think it may very well be a good amp, but I also think the lack of foresight in having a plan to keep up with demand in a more organized fashion, combined with slow response to customer needs when things fell short of expectations didn’t do them any favors. I will always be a huge Carver fan, and I hope they can recover from the botched rollout of what looks to be a fine product. There was a thread about it here on the Polk Forum but it has since been deleted. That thread covered a lot of ground but never - to the best of my recollection - got to any end-user (purchaser) "reviews", much less any posts from anyone who's had and used one for a couple of months. All the fun was before Christmas... it's nearly March now! True. Also, the Carver “employee” has not returned. I think he excused himself due to a perception on his part that he wasn't a good fit here. The only guy I know that bought one here returned it due to problems with the unit that were unaddressed and unanswered after months of waiting for it, and weeks of trying to get them to resolve his issues. That may be why they are no longer discussed and why the company rep disappeared. I am just surprised there was just the one to which you refer... actually, there is another one from before the holidays, but not a word on that one for quite a while. -- and, sorry to be redundant -- but nothin' to speak of reported on other fora, either. Funny (not the ha-ha kind... the other kind). I am certain Frank would show up if he was able to sell more amps here. This was posted Someplace Else. There is a talk with the above mentioned Carver colleague starting at 23' 28". This was posted Someplace Else. There is a talk with the above mentioned Carver colleague starting at 23:28. Well for me that interview had the opposite effect of what was intended. I'll never buy any products from a company who's CEO is as pompous as that. The industry is rampant with them. There are more good guys than bad but the bad ones are much more memorable. Carver's endeavors over the years have always had a certain edge to them. I just watched that video and thought, our 1 main buyer needed help with knowing what tubes go where. You'd think the CEO would've been on top of things and had an owners manual included with the first unit. Also our forums first or second to buy one said he returned it. I wish either him or Frank Malitz had told us what happened. I was seriously contemplating getting one. I feel I'm not the only one who put that desire on hold till even today. Maybe Prima Luna or other manufacturers will be an option for tube amp beginners like me. Agreed... he told me that I needed to be willing to put up 100k worth of "investment capital" to simply open my home to potential buyers and show them the Carver line of gear. My amps, which were build WITH Bob were not good enough to show. I needed to buy the entire Carver lineup at FULL PRICE, and then submit my mind to becoming an absolute clone of Frank's sales pitch and then and only then would he give me the time of day. My idea was to simply take referral traffic from the Carver website and offer demos to interested people and help close the sale. I didn't really care too much about the commission structure either. Bob is a friend and I simply wanted to help out. Having built the damn things, I think it safe to say I know more about the amps than he does, but his condescension and arrogance were off-putting to say the least. All he seems interested in is milking Bob's name for all it's worth. I feel bad for Bob in a way. the man is a genius when it comes to what goes on in a tube amp, and an incredibly humble and kind man, but he sure can pick 'em when it comes to business partners. That's pure absurdity. Thats all I'll say. I'm not going to even bother watching that video. I saw all I needed when malty posted here. The Jewish have a 4 letter name for people like him....starts with P.
I wish I saved the PM chain... I would post it here for the world to see. Malitz had a golden egg laying goose with you John and he couldn't see your great contribution you could've been for selling Bob's amps. With your personal friendship with Bob Carver and own personal knowledge of how the amps are built IS PRICELESS for publicity and future sales. Heck, I might've bought a 275 from you if you became a dealer and recommended it. wow, what a blow to Mr. Carver having that man decide his business contacts. You might've even been successful enough to open a brick and mortar Carver amp store. I truly believe that too. I don't know if Cairn Studios is still in business. And Tom Clark is a great easy going soul like Bob Carver is. Humble but geniuses in their own talents. Sorry John. I know you were hoping for a great opportunity to help Mr. Carver out in return for him helping you out. I'm saddened by that news. Well, there is a long tradition of hifi gurus with, shall we say, poorly developed social skills... what continues to bug me about this particular amplifier is that it seems to flout the "laws of physics" -- all of which begs for an objective assessment of its design and its performance. Still curious -- and skeptical -- about the amp. 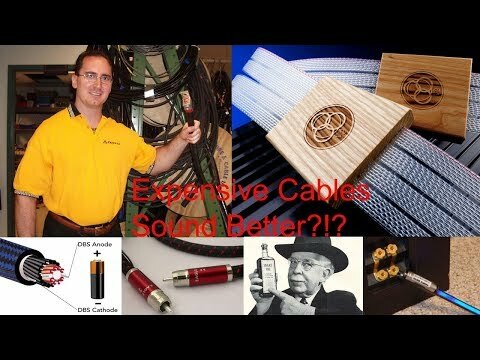 That guy is so FOS... he says cables don’t matter yet goes on to explain exactly why they do matter. He's become rich leading people down the path to piss poor sound. Initially, the first 50 units were reserved by Carver fanatics who attend, typically, Carver Fest every year. Those were the first 50 units partially assembled by Jordon and shipped to the festival for completion by the members while Bob supervised. As far as normal consumers go, I promised Bob I'd be able to sell 10 Crimson 275s per month, minimum. It was nothing more than a guess. A few months ago, while Bob was down at Carver Fest, Jordon made 10 complete amplifiers because I told him we would need that many once I released the product. 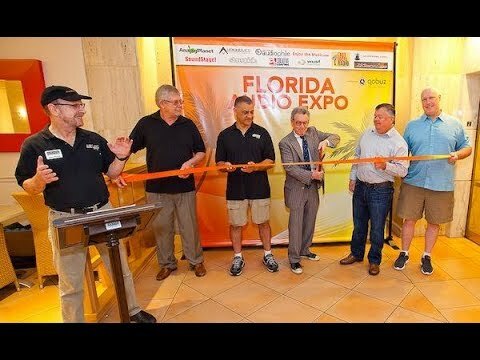 As you guys know, having traveled the country for decades in service of our industry, I know a lot of dealers. I prepared a bulletin and forwarded it to my existing dealers and target accounts as well, who were reluctant to commit due to the fact that our cheapest amplifiers were just under $10,000 and our lone loudspeaker was $18,500-- a tough sell in today's shrinking market. BUT, I sold 50 more amplifiers in the next hour! I called Jordon and asked how many he had. He replied, "10; that's you asked for". He thought I was joking when I told him I needed 40 more as soon as possible. This began a struggle the likes of which I've never seen. First of all, many people, including at least one forum member, were very angry with us. There was about a five week wait. Remember, it's entirely handmade; even the circuit boards (the 275 only; the others are point-to-point) are hand-stuffed and hand-soldered. The only Chinese part I'm aware of, that we actually source out of China, is our transformer covers. Ramping up took weeks. We now have a mechanism in place to build 100 at a time and the wait time is still about two weeks and people are still angry. Plainly put, this the best selling tube amplifier in history (no other company has ever sold 100 amplifiers in the first week, let alone tube amps) and is now, in fact, the largest selling amplifier of any type for home audio in the world today. We were completely unprepared for this. Frankly, we used to sell a mere handful of the 350 series amplifiers ($9500 mono-blocks) per month. We sold even less of the loudspeaker and only several Silver Seven 900s (four chassis mono-blocks at $32,000) per year. Suddenly, we've become a real company. Although I don't know everyone's username, I think it was a forum member who was very disappointed and returned the amplifier without listening to it. He sent me a note saying he wished no contact from us of any kind. It still bothers me. I know we disappointed him and I feel very bad about this. I would've done anything in my power to make him happy and that offer still stands. That was the only return I know of. Every amp was sold with a money back guarantee. We've released no amplifiers to anyone for review for two reasons: the main reason is the demand. We had to institute a moratorium on adding new accounts until the existing orders were filled. It would be immoral for us to seek more business at the expense of the dealers who were patiently waiting, not to mention their clients, while I would be putting on dealers all over the country due the impact the amplifiers had on the market (more on this below). I will provide samples for evaluation once we are caught up. Reviews are very important. The other reason was, I was scared. It sounded great to me but how would others feel?So my policy was to wait and see the dealer reaction and, even more important, the reaction from our consumers before sticking my toe into the reviewer's waters. I won't discuss the sonics in this posting. So what's the story? Why would this amplifier have this unprecedented impact? Before I continue, your software says my posting is too long so part two is below. Five-year warranty including tubes-- 20 times longer on tubes than McIntosh and Audio Research; 10 times longer than Prima Luna-- all great products. The amplifier repairs defective tubes. The tube life before degradation-- not failure-- is 26 years. The tubes run so cool you can hold your hand on the mighty KT 120's all day and never be burned. The internal temperature of the amplifier is about the same as the inside of your mouth so the component should outlast the user. To the best of my knowledge, the only failure we've had was the ill-fated subwoofer switch which wasn't a failure, but would occasionally cause subwoofer hum so we deleted it after the first 20 units. Statistically, it's more reliable than any solid-state amplifier. The amplifier listens to the room and preserves the ambiance for a larger soundstage with more depth. Although it's rated at 75 W per channel, they all measure about 90 but produce between 130 and 140 watts on music and voice, probably, I assume, at a higher distortion of maybe 1 1/2 to 2%. Normally, it's well under 1% with a lovely profile. So, as I've said, we've had no failures and we're selling them by the hundreds all over the world. We have no service department-- no need. Although we have many fine dealers, just as an example, Music Direct and Jim Clark Stereo order every single day-- every single day! You do not need to believe me. Ask them. The word amazing has been used often regarding products created in the long career of one of our industry's actual icons, Bob Carver. Well he's done it again! Bob always wants his products to not only sound amazing, but he also wants them to exhibit real value. Since we began showing his Amazing Line Source loudspeaker system and his incredible 350 W all tube monobloc amplifiers, the interest in Bob and his products has exploded. Both the ALS system and the mono-blocs represent incredible values – – especially since they are built in the United States by hand. Another factor in their great value is the fact that they're virtually bulletproof! It's so cool to be able to sell a high power all tube system that's totally reliable. To this date we have experienced 100% reliability, based on Bob's design, the tube life expectancy is so long that the tubes and mono-blocs are actually under warranty for 15 years. What if Bob could make a less powerful, and even more affordable, stereo version of the mono-blocs? Will guess what? He has, and we now have this new Crimson 275 playing in the same room with the 350 W mono-blocs. The Crimson 275 is beautiful looking and sounding. Using the same Tung Sol KT120 power tubes as the mono-blocs, the same tube saving DC restorer circuit that prolongs tube life by decades, the 75 W per channel Crimson 275 is a breath of fresh air in a world where most American made electronics are simply too expensive for most of us. The new stereo Crimson 275 is warrantied (tubes and all) for five years. It seems to be true but it's not. The Bob Carver 275 is a great amp and that's the truth. Visit our store in Champaign Illinois and listen for yourself. Before I sign off for now, in order to avoid conflict, I backed out of one of the other Polk threads, which ironically, some members had requested, so I started a thread about stories from the industry-- history, various ownerships, designs that worked, designs that did not, and funny stories. Just as you encourage new members to provide a profile and tell of their experiences and even the components they use, I gave my background which includes over 50 years in the industry, covering hundreds of thousands of miles, often in the middle of nowhere, doing training meetings with pizza and beer, only to return to my motel room at 1:30 in the morning, with a big belly, and a little buzz, and a little bit lonely while you guys were home with your families. It sounds romantic, and it actually was, and still is, but does engender a certain amount of sacrifice. I was ridiculed for giving my background, which, often due to the help of others, was remarkably successful and at my age, I finally discovered the secret of happiness: avoid conflict. Avoid negative people. I suggest you all do the same. I have to say, that the majority of your members have been welcoming and even affectionate. Please come and see me and introduce yourselves at Axpona. I would love to meet you guys in person. I will try to sneak a bottle of scotch into the room! -Admiral Isoraku Yamamoto upon damage assessment after the attack on Pearl Harbor.